Catch all of this year’s Oscar nominated short films before the 90th Annual Academy Awards telecast on Sunday, March 4th, 2018! And the winners are?… Once again, the Martha’s Vineyard Film Society is proud to present this nationally-touring program highlighting all of the Live Action, Animated, and Documentary Short Films that received Academy Award nominations this past year. 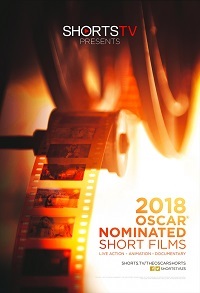 The Oscar Nominated Short Films programs offers viewers the rare opportunity to experience the year’s best short films from across the globe, collected together in this special cinematic showcase courtesy of Shorts International and Magnolia Pictures.